The Bad Kitty Bakery: Sweet Lime Kabobs with RECIPE! Sweet Lime Kabobs with RECIPE! Sorry everyone about the break. I had a huge wedding cupcake project to do (which turned out quite well) and then I needed some creative time off. Now I am back to creating great recipes and providing inspiration. This weekend I created a bunch of meals that last well in the refrigerator, are easy to prepare, and tasty! One of these were kabobs marinated in a tangy, sweet lime sauce. The recipe is super simple. Combine the vegan Worcestershire sauce, agave, lime juice, olive oil, salt and pepper. Wash your vegetables and cut them into thick chucks. You don’t want anything to be small or delicate when it will be on the kabob, or it can easily fall off. 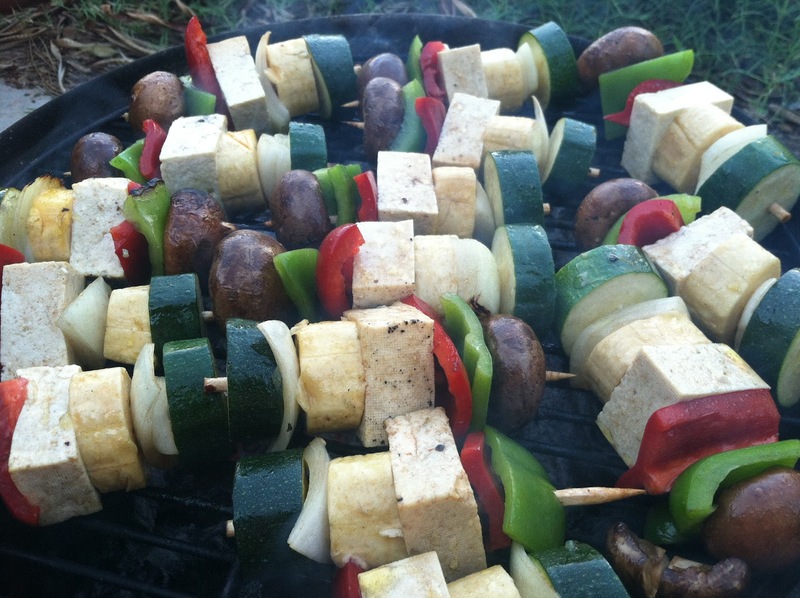 Skewer your veggies on the sticks, and marinade in the sauce. Light up the grill if needed so it can come to temperature. Cook the quinoa if needed. Once the grill is ready, grill your skewers!! Save any leftover marinade, and use it to dress the quinoa. Cook the kabobs for about 10-15 minutes, so the vegetables are slightly tender, and the tofu is cooked. Remove from heat and serve on a bed of the dressed quinoa. Calabacita Pizza Casserole with RECIPE! Chorizo Broccoli Baked Potato with RECIPE!